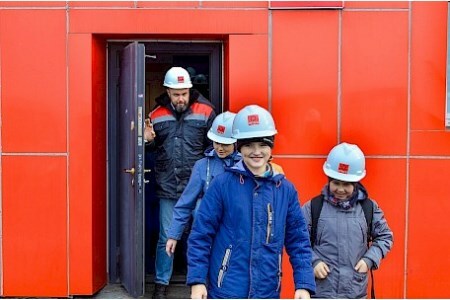 Employees at the sea terminal of the East Mining Company’s coal port Shakhtersk recently conducted an excursion for the sixth graders of the municipal school ?1. The event was held as part of a comprehensive programme for vocational guidance of students. Children were introduced to key production facilities and processes, and they also spoke about the features of the main port’s specialties. “Such excursions take place regularly at the VGK enterprises. They allow future graduates to be interested in, show them the scale and perspective,” says Yury Gvozdikov, Executive Director of UMPSh.